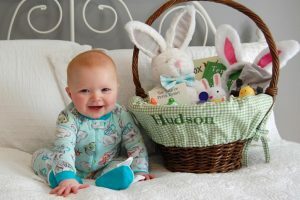 When I was pregnant with Sadie, we decided not to find out if we were having a boy or a girl….we thought it would make for such a fun and exciting delivery day. And it did! Best surprise ever! Later that day, from my hospital bed, I was online buying her ALL THE HEADBANDS. Because that’s what girl moms do, right? 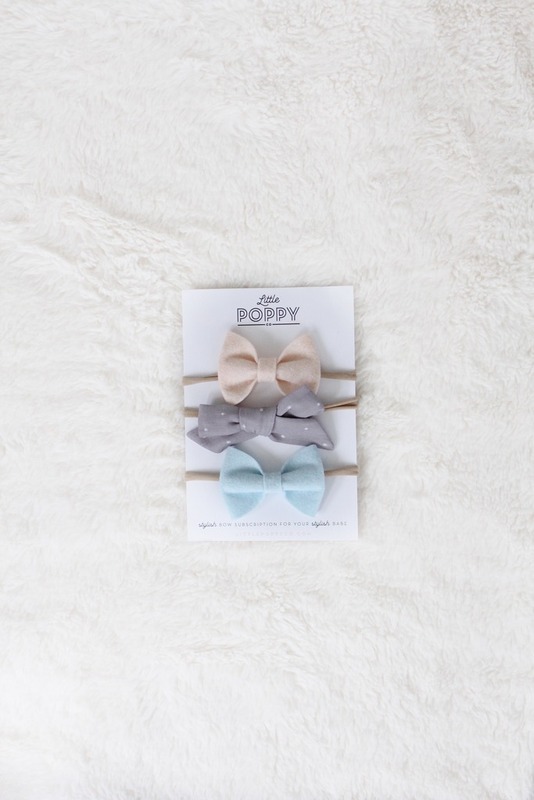 Well, a few months later I discovered Little Poppy Co., which offers a subscription service of three adorable bows delivered right to your door every month. I signed Sadie up in August and haven’t regretted that decision for one second! I mean, look at these adorable bows! It’s so fun to get a little surprise in the mail each month, and a terrific way to build your little lady’s bow collection! You can get your bows on a one-size-fits-all (and it fits me!) headband or choose to have them on a clip. 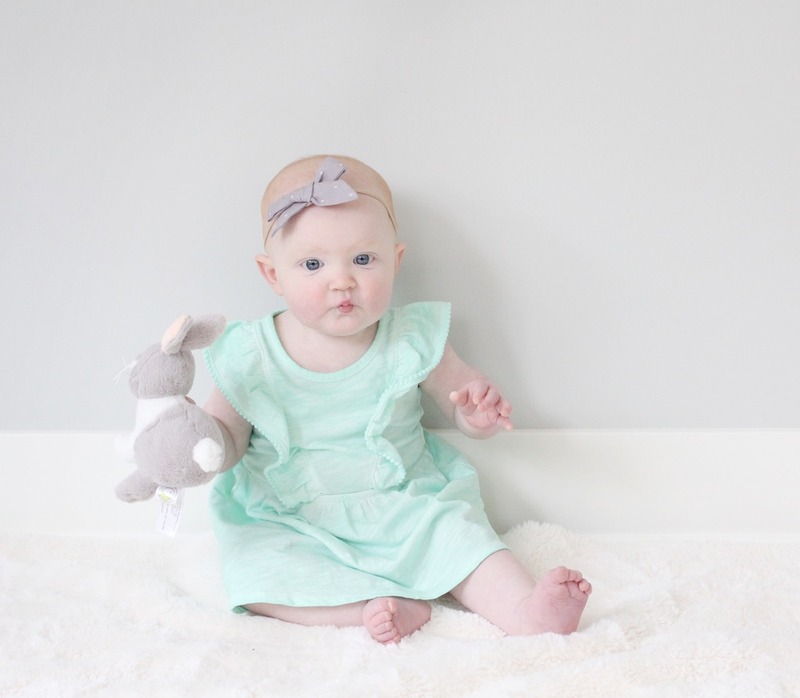 Obviously, Sadie get her bows on a headband…. I love that with Little Poppy Co. 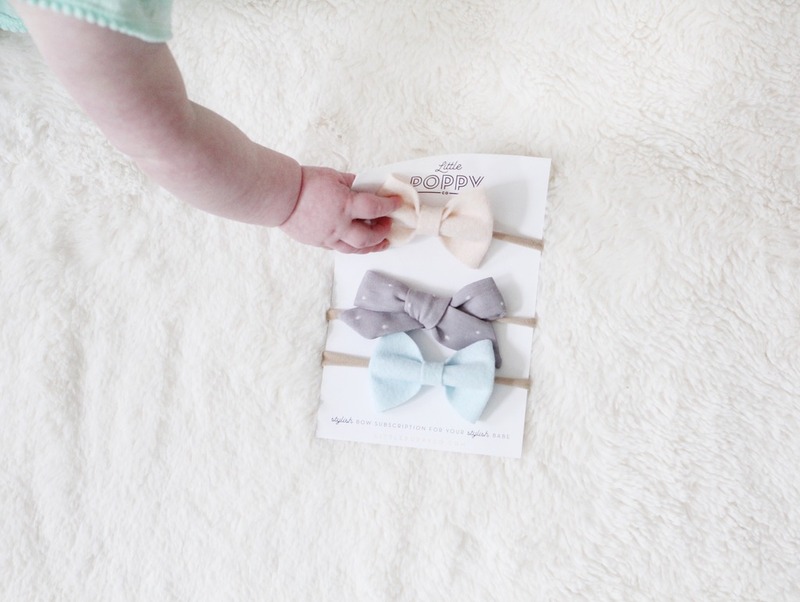 I don’t have to wait for special deals or search for stylish bows online….a set of three bows arrives every month and they are always perfection! The bows will include two solid color felt bows, and a fabric specialty bow that will vary from month to month. You can read more about how it works here. When you subscribe you can cancel at any time…but trust me, you’ll get hooked and never want to! Subscribers also get exclusive access to certain bows that can ship for free with your monthly bows. Win win! Here’s Sadie rocking one of the September bows. 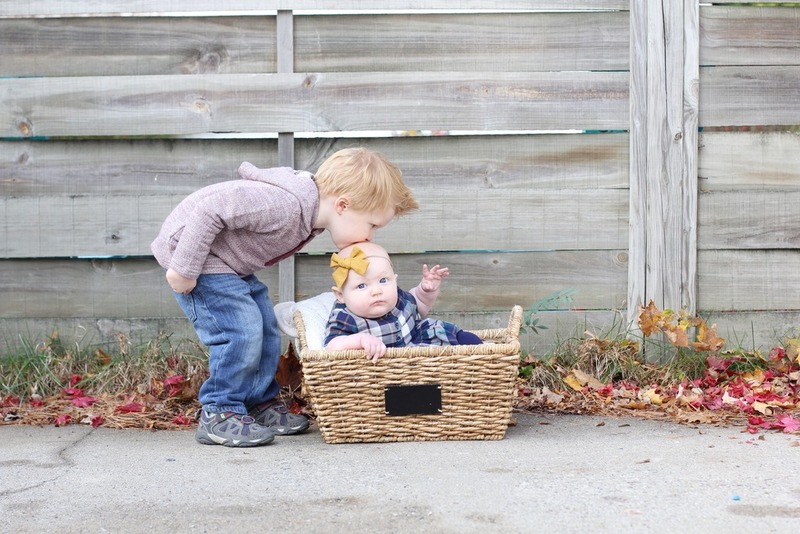 And this one is one of my favorites….either from October or November (I can’t remember!). Whenever Sadie wears a Little Poppy Co. bow we get tons of complements. I mean…she’s just the best. 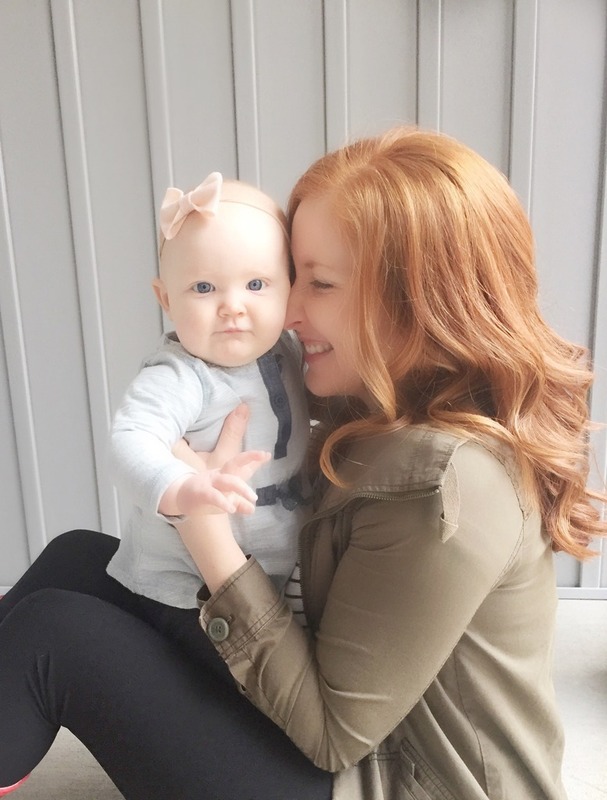 Sadie has some RED hair coming in…but I love that little fuzzy head so much! 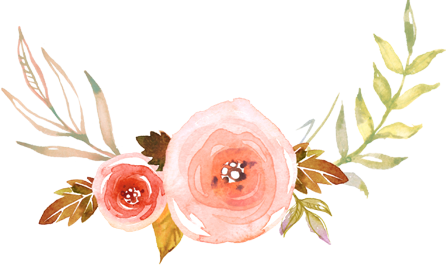 Want to try out Little Poppy Co. for yourself? Lindie and Becca (the owners and sisters-in-law!) 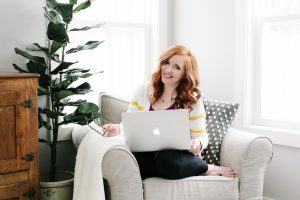 have generously offered all The Girl in the Red Shoes readers 30% off your first month of bows with code “GIRLINTHEREDSHOES” AND they have also offered to give away one month of bows to one of you! Yay! Bows for everyone! Enter below. Open to US residents only. Full giveaway rules here. I'd give the bows to both my daughters! They are absolutely adorable. I would love these for my daughter who is set to arrive in the next 4 weeks!!!! They are so cute! Love those sweet little bows! I have an 18 month old girl who I would love to have new bows for, and another on the way but we don't know gender. Possibly another sweet girl to outfit! I have a 14 month old little girl, with little hair. 😉 She looks so sweet in bows. Those bows are adorable! I would put them on my sweet girl Aria who is one! So sweet! I would give them to my niece! These bows are so adorable. I would love them for my daughter Avery. I brought a bow to the hospital and ended up having a boy! Good thing I have three adorable nieces to spoil with these! I would love to win these bows for my 3 month old daughter, Chloe! 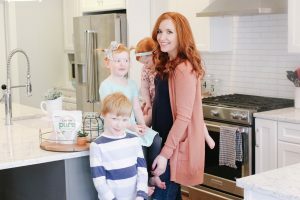 WE just recently discovered Little Poppy Co. and signed up for a subscription starting in April! I would give them to my cousins daughter who loves headbands and could use some new cute bows! I would give them to my daughter Eloise. We could use some more added to her collection! Now that winter hats are less needed (we live in Chicago and walk everywhere), she can start wearing bows again:). I would give them to my daughters! 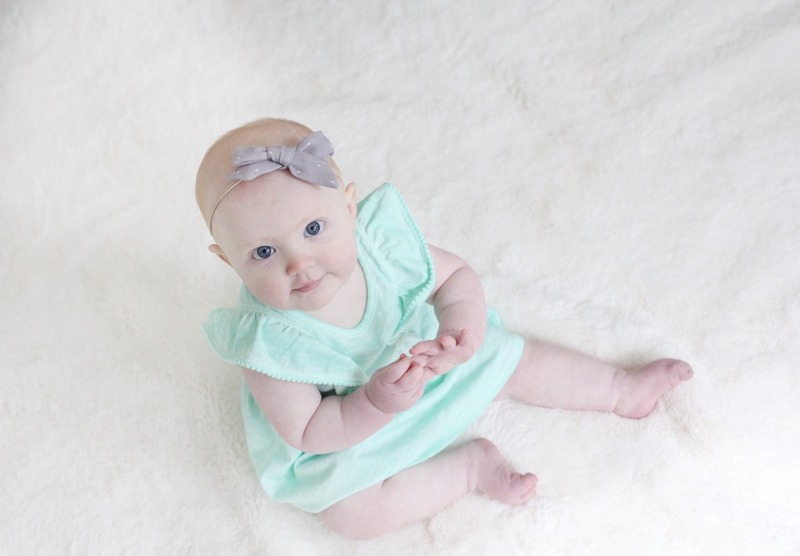 It's hard to chose which…clips for the big girl or headbands for the baby! Either way, they are adorable headbands!!! Oh fun! We also waited to find out gender and as soon as baby was a SHE I also was ordering headbands!! So fun! I was just learning about Little Poppy Co the other day. Such an awesome service! Holy cuteness! This is such a great idea. Who doesn't want to get surprise bows each month? I'd use them for my daughter Emerson. I have to go check out their site. I wish I'd known about this before. 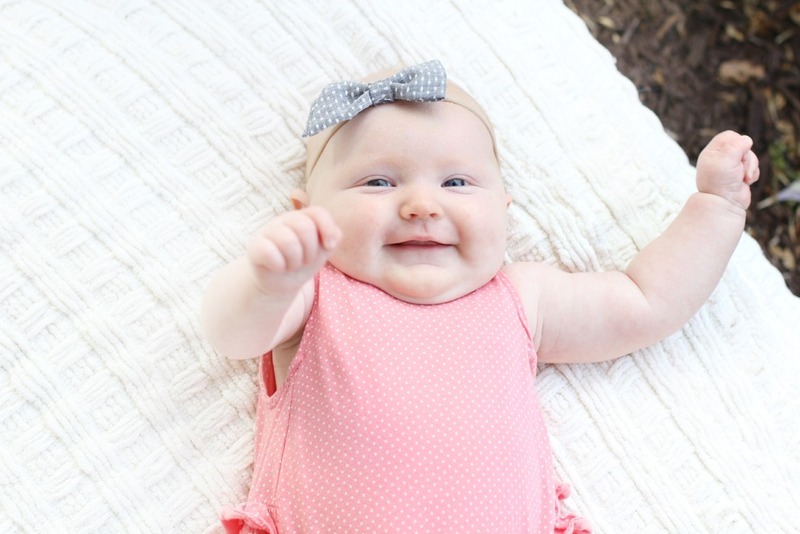 The bows would go to my 7 month old, Felicity Lake! 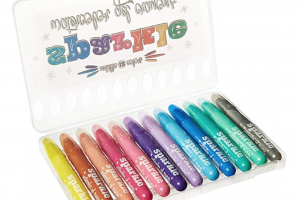 I would give them to my daughter – what a fun opportunity! When my daughter was super little and would nurse in the middle of the night I would be ordering bows! Would love these for my crazy wants to rip out the bow as soon as it's in 19 month old! I would give them to my baby girl due this summer. 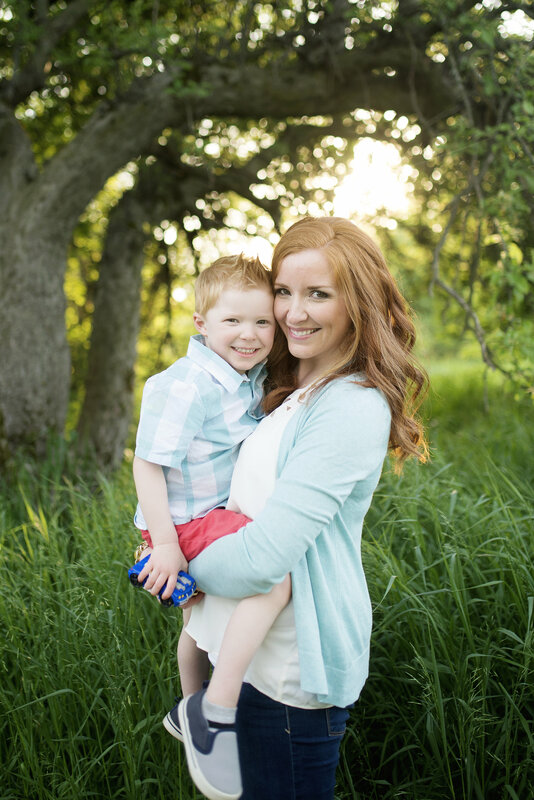 Lover her sweet red hair.. What a cutie! No question about it; I'd give the bows to my daughter, Kate!! Just had a baby girl in November and a girl can never have too many bows!! 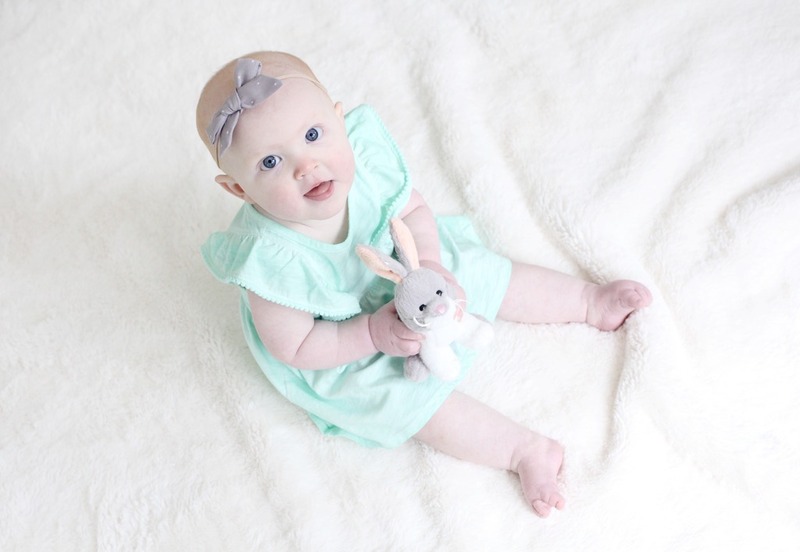 I am just starting to put little headbands and bows on my 4 month old and would love some new ones! I would keep the bows for my daughter. These bows would be for my baby girl!